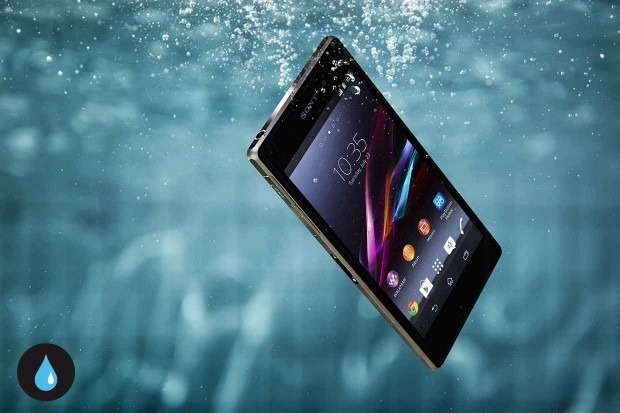 Sony’s upgrade to the Xperia Z2, in the form of Xperia Z3 was one of the best but Sony has hurried with flagships. The Xperia Z3 comes with IP65 and IP68 certification so the waterproofing is perfectly there, but at the same time, this is Sony’s strongest device in terms of hardware and software, for the year 2014. It has a 5.2 inch 1080p display, a curved side panel and the internal power is given by Snapdragon 801 processor with 3GB RAM. The phone is dust tight and is protected against low-pressure jets of water from all practicable directions in compliance with IP65, and can be kept under 1.5 m of fresh water for up to 30 minutes in compliance with IP68. Read the Sony Xperia Z3 Review. Sony Xperia Z3 compact is a perfect smartphone in all ways, thanks to the size and the way Sony has packed in all the high-end specs and features. The IP certification is the same as you see in the Xperia Z3, thus there is no real big compromise from Sony in all the aspects. It comes with the same IP65 and IP68 certification, against dust and water and it can stay waterproof under 1.5m of fresh water for up to 30 minutes. 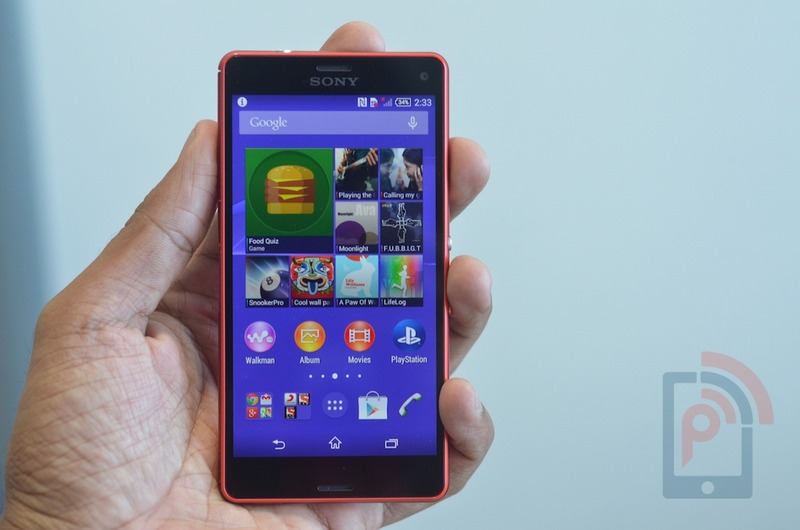 Check out the Sony Xperia Z3 compact hands-on. 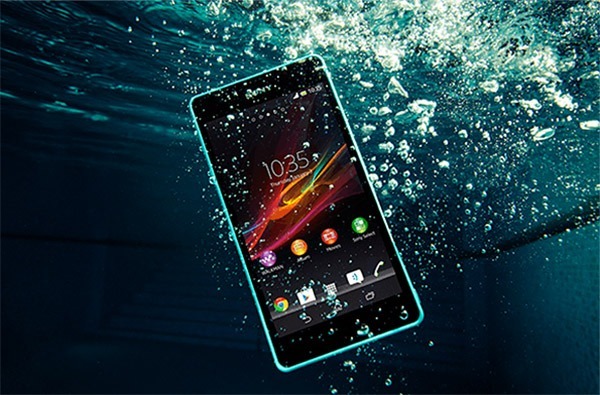 Sony started these Waterproof Smartphones line up, with the Z series and now most of the Sony’s latest high-end Smartphones can survive under the water. 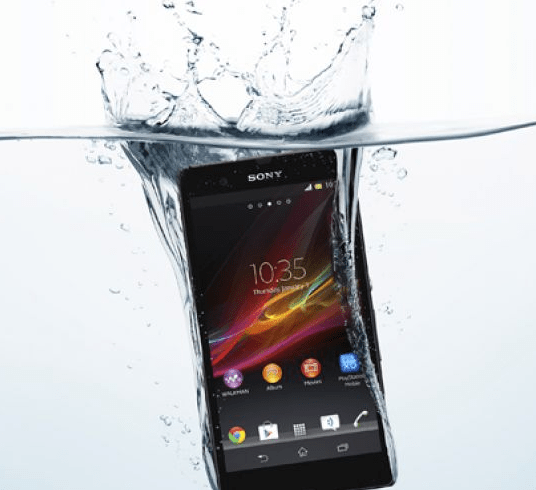 The Sony Xperia Z2 is the premium device from Sony which is made rugged and water proof. This time the screen is made better than the previous generation of Z1 with a rating of IP55/IP58, the first digit indicates the level of protection against solid objects and the second digit indicates how resistant the device is to water. The device can survive for 30 minutes for a depth up to 1.5 meters. The Z2 has 5.2 inches (1080×1920 pixels screen resolution) IPS LCD and is powered by Qualcomm Snapdragon MSM897AB 801 quad core processor clocked at 2.3 GHz along with a support by Adreno 330 and 2GB of RAM. The phone comes with an option to expand the memory to 128 GB via Micro SD card slot. It runs Android Kitkat 4.2.2 and the camera present on the phone is 20.7-Megapixel rear shooter and a 2.2-Megapixel front-facing shooter. Samsung has come up with the successor for the Galaxy S4, when they announced the the Galaxy S5 at the MWC 2014, and the phone is more powerful and has the water resistance feature. The phone has a rating of IP67 which is given in the basis of dust proof and water resistance. Samsung has added a Micro USB Port flap cover on the bottom protecting the device from Water. The S5 has a 5.1-inch (1080 x 1920 pixels screen resolution) Super AMOLED display. The phone is powered by Qualcomm Snapdragon 801 processor, MSM8947AC quad core chipset clocked at 2.5 GHz with Adreno 330 and supported by 2GB RAM. The phone comes with an option to expand the memory to 128GB via Micro SD card slot. The camera present on the phone is 16-Megapixel rear that can record 4k (2160 pixels) videos and Front Facing 2-megapixel that can record 1080p videos. 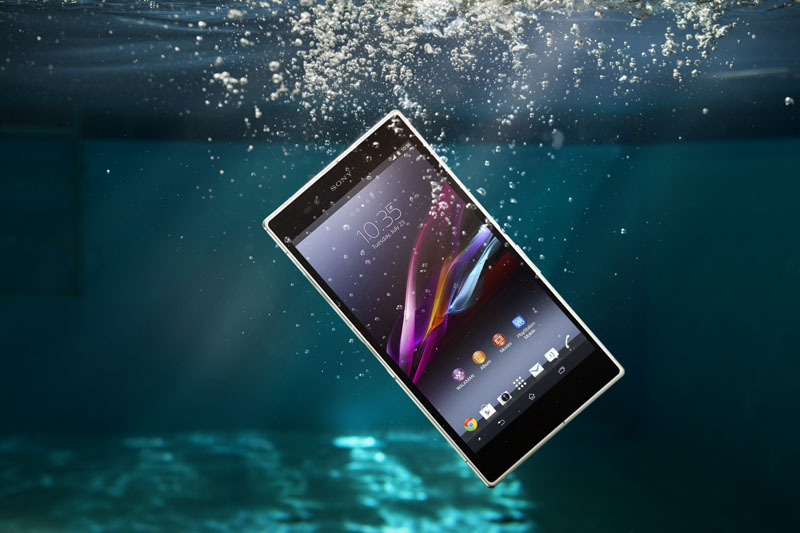 With a 6.4-inch display, the Sony Xperia Z Ultra has a rating of IP55/58 which is dust proof and waterproof and can survive underwater in 1.5 Meter for 30 minutes. The Z Ultra has a lightweight unibody Structure, and the 6.4-inch screen has a IPS LCD display with the Full HD resolution (1080×1920 pixels). The phone is powered by Qualcomm Snapdragon 800 (MSM8974) quad core processor clocked at 2.2 GHz with Adreno 330 and supported by 2GB of RAM. The phone comes with an option to expand the memory to 64 GB via Micro SD card slot. The camera present on the phone is 8-Megapixel rear and 2-Megapixel Front Facing one, that can record 1080p videos. 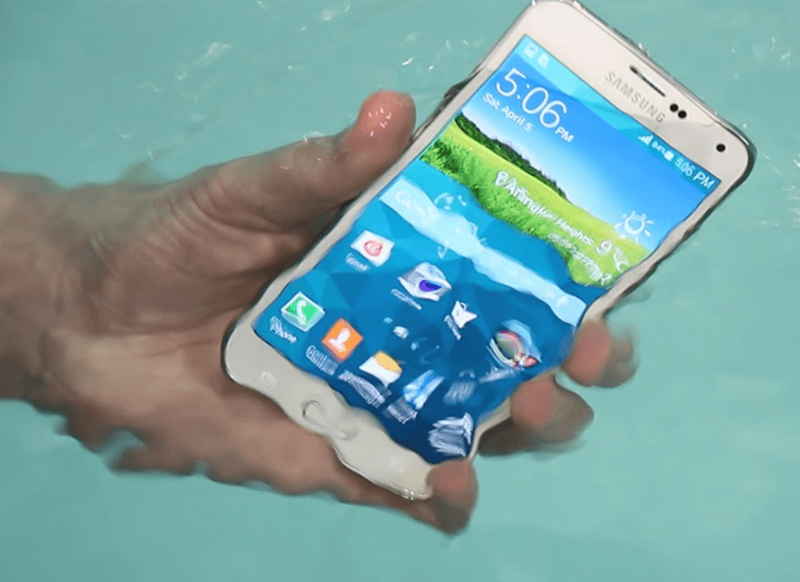 Available particularly in the US market, the Samsung Galaxy S4 active phone can handle Accidental drops, water, dust and can be submerged in water upto 1 meter for 30 minutes. The phone back cover has rubber seals which protects the battery and other components of the device. 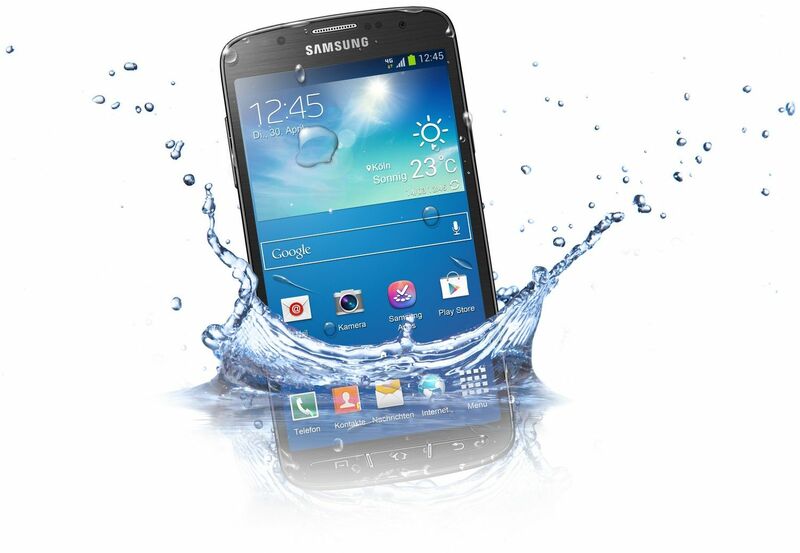 The Samsung S4 Active has a rating of IP67 which is for water resistance and dust proofing. The device has 5 inches (1080 x 1920 pixels screen resolution) IPS LCD display. The phone is powered by Qualcomm Snapdragon 600 processor (APQ8064T) clocked at 1.9 GHz with Adreno 320 supported by 2GB of RAM. The phone comes with an option to expand the memory upto 64GB via Micro SD card slot. The camera present on the phone is 8-Megapixel rear one and Front Facing 2-Megapixel camera which can record 1080P videos at 30fps. This was launched after the flagship S4 launch and was made available only in a limited regions. The Sony Xperia ZR, a smartphone with 4.5-inch HD IPS LCD display has a rating of IP55/58 which makes the device waterproof and dust proof. 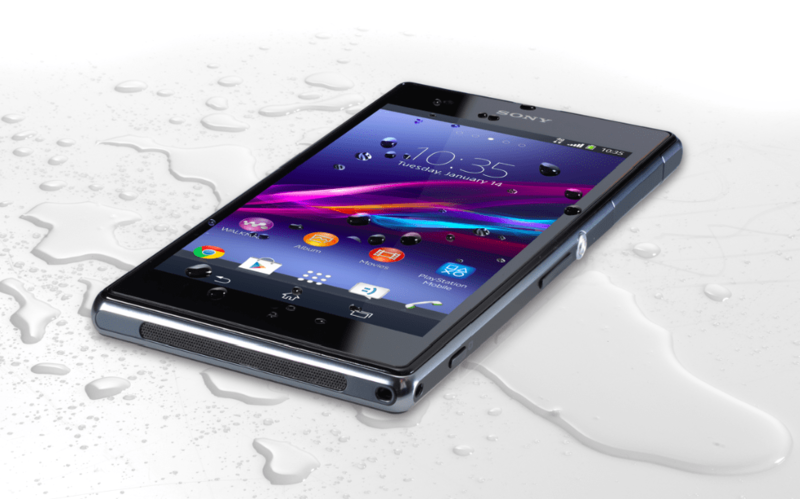 The Xperia ZR was launched as a smaller version in the series of Xperia Z, but the resistance to water and dust was kept the same. The phone is powered by Qualcomm Snapdragon S4 Pro processor (APQ8064) quad core chipset clocked at 1.5 Ghz with Adreno 320 supported by 2GB of RAM. The phone comes with an option to expand the memory upto 64GB via Micro SD card slot. The camera present on the phone is 13.1-Megapixel Rear shooter with Exmor RS technology. The Front Facing 1.3-Megapixel camera can record 1080p videos. Even though this was a not a flagship smart phone, the features were top notch and we would always recommend a smart phone like this. 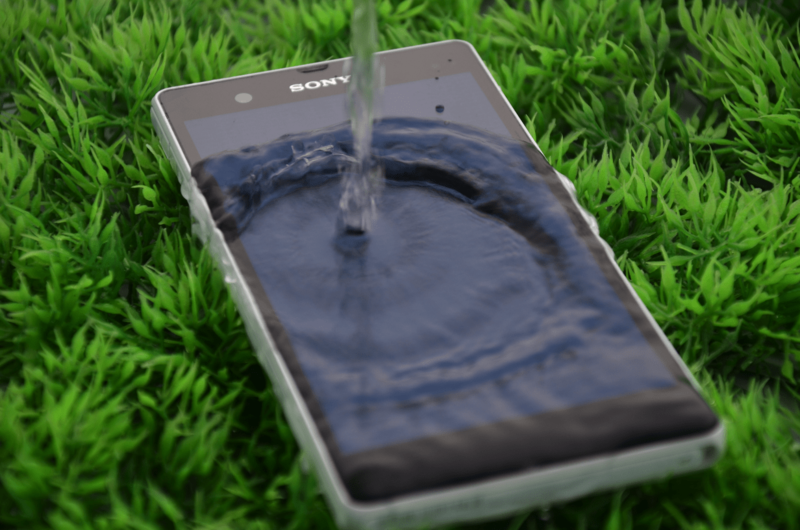 One of the earliest phones in the Xperia Z series, the Sony Xperia Z Phone has a rating of IP57 which makes the device a water proof and dust proof. It can be submerged under water for 30 minutes upto 1meter. The device comes with a non-removable back cover that has a capacity of 2330mAh. The phone has 5 inch 1080p display, powered by Snapdragon 801 processor with 2GB RAM. It comes with 16GB internal storage and also has a Micro SD card slot to expand the memory to 64GB. The camera present on the device is 16-Megapixel with LED flash. The device comes with battery capacity of 2330mAh. 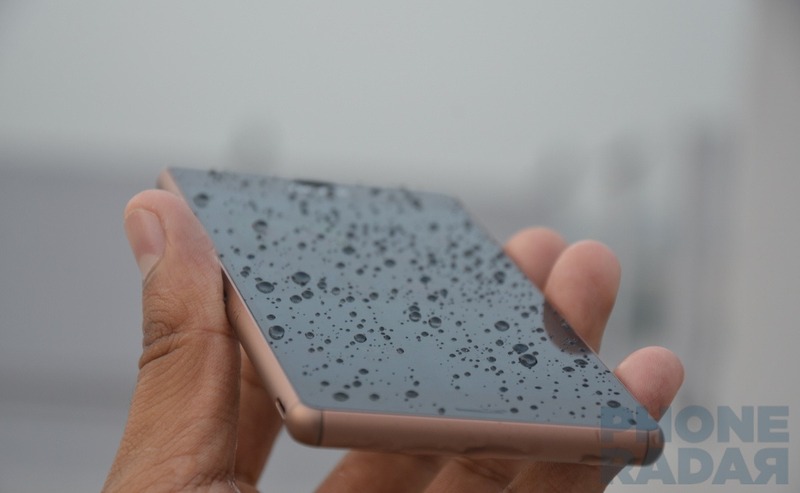 The device was not completely water proof and can be considered as water resistant. The Z1S Phone has IP rating of IP55/58 which makes the device a waterproof and dust proof. It can be submerged into the water for 30 minutes upto 1.5 meter. The device has made for those who want to explore their devices in challenging situations where most of the gadgets don’t work. Sony has mentioned that the warranty will be void if the device is kept in Salt water, Liquid chemicals and sand or mud. The Sony Xperia Z1S comes with a 5″ 1080p display, powered by Snapdragon 801 with 2GB RAM. It comes with 16GB internal storage and also has a Micro SD card slot to expand the memory to 64GB. The camera present on the device is 20.7-Megapixel with LED flash. The device comes with 3000mAh battery capacity. The Sony Xperia Z1 is the follow up to the waterproof Sony Xperia Z, which is an improved version in terms of build, design and internal specifications. The phone has a rating of IP58 which makes the device waterproof and dust-proof. The device can be submerged into the water for 30 minutes upto 1 meter. The phone comes with 5 inches 1080p display, powered by Snapdragon 801 with 2GB RAM. It comes with 16GB internal storage and also has a Micro SD card slot to expand the memory to 64GB. The camera present on the device is 20.7-Megapixel with LED flash. The device has a battery capacity of 3000mAh. Samsung announced its latest flagship handset earlier this year at MWC 2016 event In Barcelona. 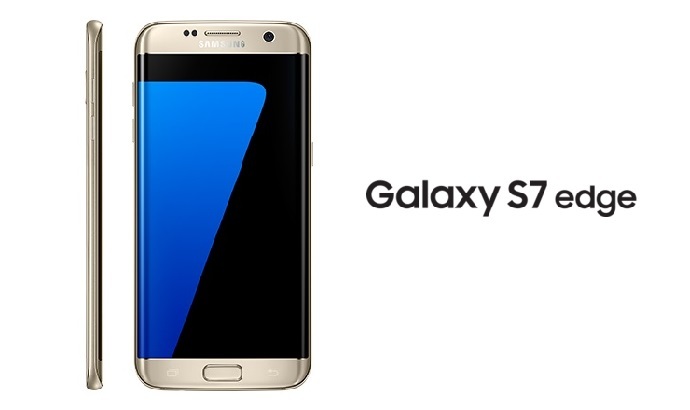 The Galaxy S7 is powered by a Snapdragon 820 chipset, which is a Quad-core chipset clocking at 2.3GHz, while in many regions including India and UK, the company is rolling out Exynos 8890 Octa-core processor, which is equal if not more powerful than Qualcomm chipset. It sports a 5.1-inch Super AMOLED 2K display and boasts a waterproof IP68 rating, which means it’s a waterproof handset. The South Korean Giant removed this feature in the last year’s iteration, the Galaxy S6. But by popular demand, it is back now. Other than the waterproof design, the Galaxy S7 houses a 12-megapixel camera on the rear with LED flash light and laser autofocus feature. The front-facing snapper is of 5-megapixel and since it’s a wide angle lens you can expect to cram a lot of faces in one selfie. The device runs on latest TouchWiz build interface, which is based on the Android 6.0.1 Marshmallow operating system. There are 4GB of RAM and 32GB of internal storage available on this handset, which can be expanded up to 200GB via microSD card slot. In terms of connectivity, it has everything you can think of; 4G VoLTE, Wi-Fi, Bluetooth, GPS, NFC, dual SIM and microUSB port, except IR Blaster. All this is fueled by a 3000mAh capacity battery. Samsung has continued its involvement with a curved display, and the Galaxy S7 Edge is one of the latest offerings for that. Apart from holding a dual edge screen, this handset boasts a waterproof rating of IP68. It means you can take this handset to your adventure in wildlife. Coming to the specifications, it packs 4GB of RAM and 32GB of internal storage, which can be expanded up to 200GB via microSD card slot. It is powered by a Exynos 8890 Octa-core chipset in the International market, while only in the United States it is loaded with Snapdragon 820 chipset. The device has a 5.5-inch Super AMOLED 2K display, which is one of the vibrant displays we have seen so far. There is an Android 6.0.1 Marshmallow based TouchWiz UI on this handset. The camera package is similar to the Galaxy S7, i.e. 12MP rear ad 5MP front with same features. In terms of the connectivity, it has various options such as 4G VoLTE network support, Wi-Fi, Bluetooth, GPS, NFC and microUSB port. It is fueled by a 3600mAh capacity battery, which should give up to 27 hours of talk time. 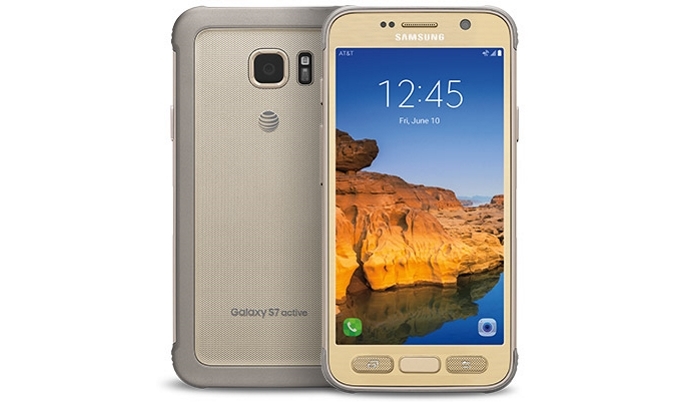 The South Korean giant, Samsung has already been offering two handsets this year with waterproof functionality, but with Galaxy S7 Active they have overgrown themselves. 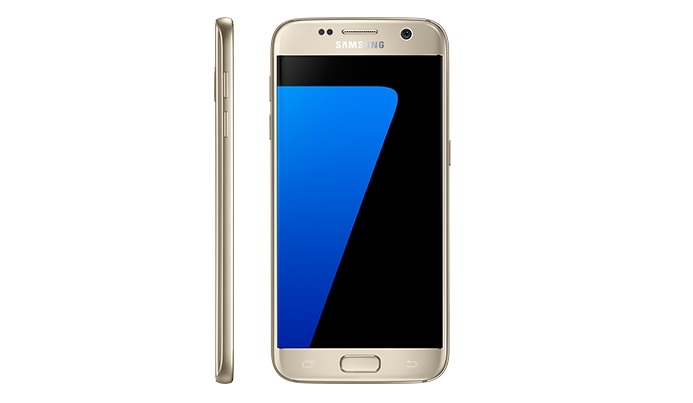 The latest Galaxy S7 variant is a rugged smartphone that comes with a plastic body on top of unibody metal that is covered with a shock-resistant rubber bumper around edges. Another important aspect of the new handset is that the battery capacity is bumped up to 4000mAh, which is even larger than the 3600mAh on the S7 Edge. Talking about the remaining specifications, the new Samsung handset is said to be coming with a shatter resistant screen that can withstand a drop from 5 feet height. Well, isn’t that amazing! The real estate is of similar size, i.e. 5.1-inch with a 2K display. There is a 4GB of RAM and 32GB of internal storage on this handset, which can be expanded up to 200GB via microSD card slot. The device is powered by a Snapdragon 820 chipset, which is a Quad-core chipset clocking at 2.3GHz. In the camera department, it has a 12-megapixel image sensor on the rear and a 5-megapixel image sensor on the front. The connectivity options 4G VoLTE, Wi-Fi, Bluetooth, GPS, NFC and microUSB port. 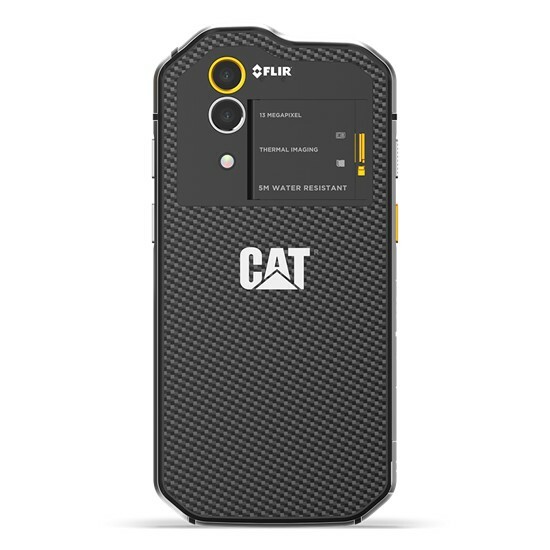 This was also announced at MWC 2016, the CAT S60 is a rugged smartphone and was announced as the world’s first smartphone with Thermal Imaging camera. But the device is also 5M waterproof rated with it has a unique lockdown switch support. The device sports a 4.7-inch 720p resolution display that has support for operating with wet fingers and gloves ON. It is protected by a Corning Gorilla Glass 4 and is said to offer 540 nits brightness level. It is powered by a Snapdragon 617 chipset, which is an Octa-core processor clocking at 1.5GHz. It is supported by an Adreno 405 GPU and 3GB of RAM. The internal storage on the device is at 32GB, and it would be running on the Android 6.0 Marshmallow operating system based interface. Apart from the waterproof capability of the CAT S60, the device is touted for its thermal imaging camera setup. The company has embedded an FLIR camera module, as the brand is popular in thermal imaging technology. There are lots of use cases for such module, for instance, detecting heat loss, spotting moisture and missing insulation. Moreover, it would be critically helpful in identifying the over-heating electrical equipment. The module in question has a 13-megapixel resolution, which can measure heat signatures as far as 100 feet. All this is powered by a 3800mAh capacity battery. The above list is featuring a few smartphones manufactured by Tier1 brands which offer the best support and service. There are certainly a few other devices which may be worth adding here, if you feel we missed them, recommend the same in the comments section and we would add those devices in the above list.